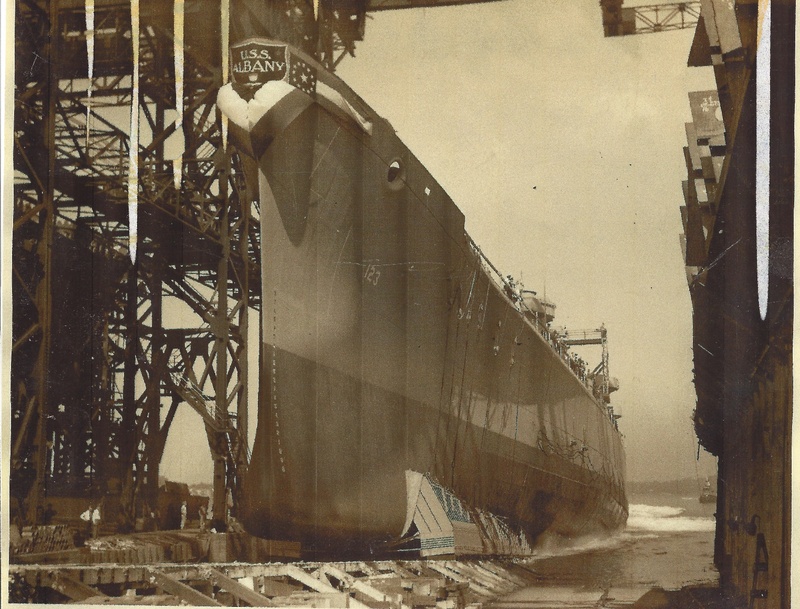 The ship was laid down on 6 March 1944 at the Fore River Shipyard Quincy, Massachusetts, by the Bethlehem Steel Company, launched on 30 June 1945, sponsored by Mrs. Elizabeth F. Pinckney, and commissioned on 15 June 1946 at the Boston Navy Yard, Captain Harold A. Carlisle in command. Following outfitting and a shakedown cruise near the vicinity of Casco Bay, Maine, Albany began operations along the east coast of the United States punctuated with cruises to the West Indies. During the ensuing months, the cruiser made several voyages for training naval reservists and NROTC midshipmen. Albany continued to perform such duty until 11 September 1948, when she steamed out of Chesapeake Bay for her first tour of duty with the American naval forces operating in the Mediterranean Sea, recently made a permanent establishment as the 6th Fleet. That deployment set the tone for the next decade. 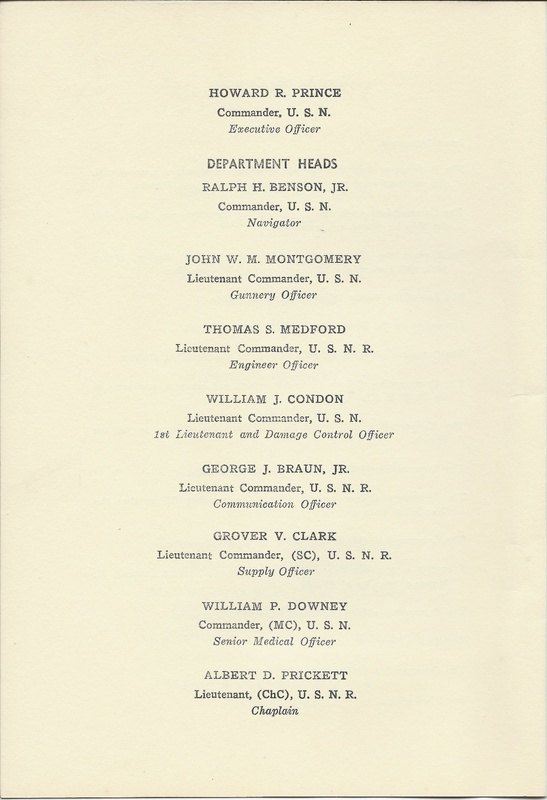 The cruiser alternated five assignments to the 6th Fleet with operations along the east coast of the United States and in the West Indies and made three cruises to South American ports. During one of the South American voyages, Albany carried the official United States representative to the inauguration of the President of Brazil in January 1951. 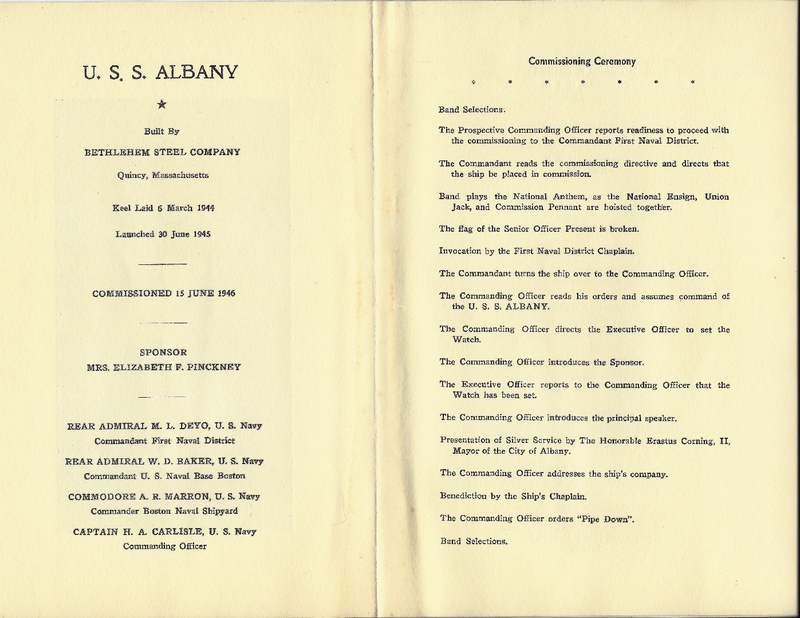 For two years, stretching at least until the autumn of 1955, Albany served as flagship for Commander, Battleship-Cruiser Force, Atlantic. Albany CA 123 was decommissioned 30 June 1958 and reclassified as a Guided Missile Cruiser CG 10 which started the conversion process and recommissioned in 1962.